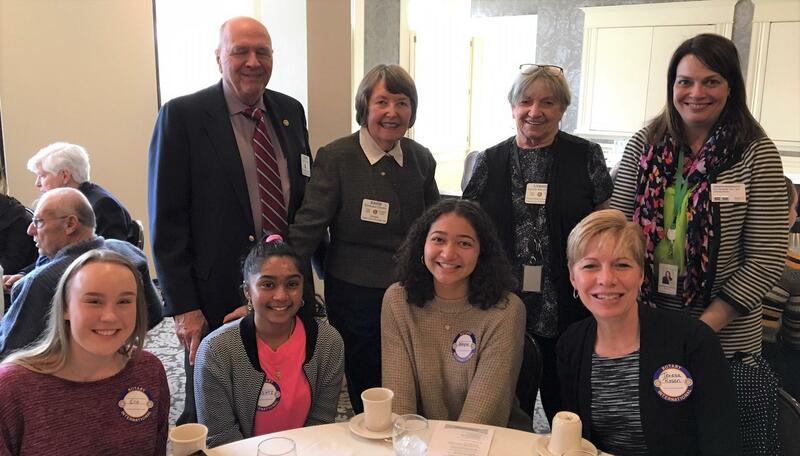 Seven Richfield Rotarians were joined by Richfield High School Assistant Principal Teresa Rosen and six RHS juniors at the 9th annual Rotary Area 3 Vocational Ethics Day, at Edina Country Club. Over lunch, Rotarians and guests discussed questions relating to ethical behavior. Keynote speaker Jerome Mayne explained how his own fraudulent behavior in the real estate loan business resulted in his imprisonment for two years. Once driven by greed, Mayne learned the hard way that crime doesn’t pay! Thanks to Chip Groth for representing Richfield Rotary on the VE Day planning committee.